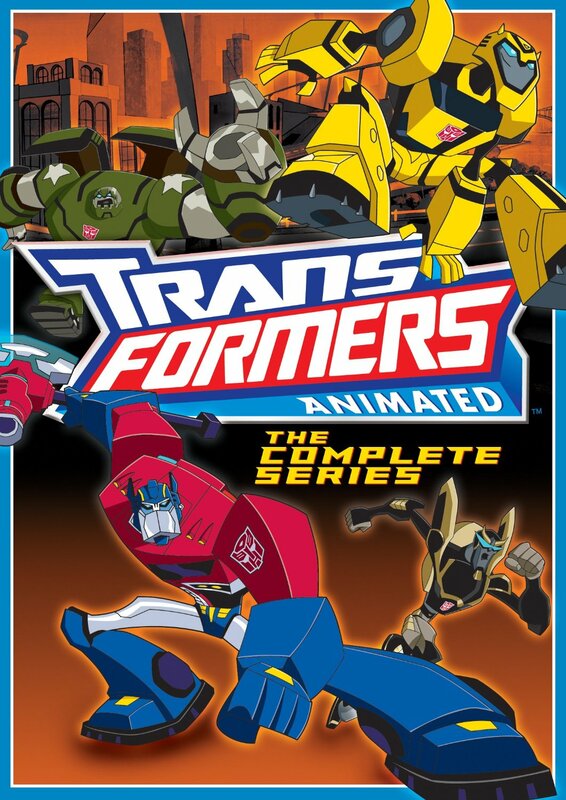 Transformers: Animated - The Complete Series was released on June 10, 2014 by Shout Factory. It had been over five years since I'd last watched this series, and I only saw it once, so I was excited to find a copy of Transformers: Animated - The Complete Series waiting for me when I arrived home from my trip to Los Angeles. Putting that on was a great way to just chill out and decompress from a hectic week, and I had forgotten how good of a show it actually is. It not only contains a lot of action and humor, but also has a wide variety of characters that are fun to spend time with. Fans of the original Transformers series from the 80s will easily recognize most of the characters before they are officially introduced, which says something pretty great about the character designs. 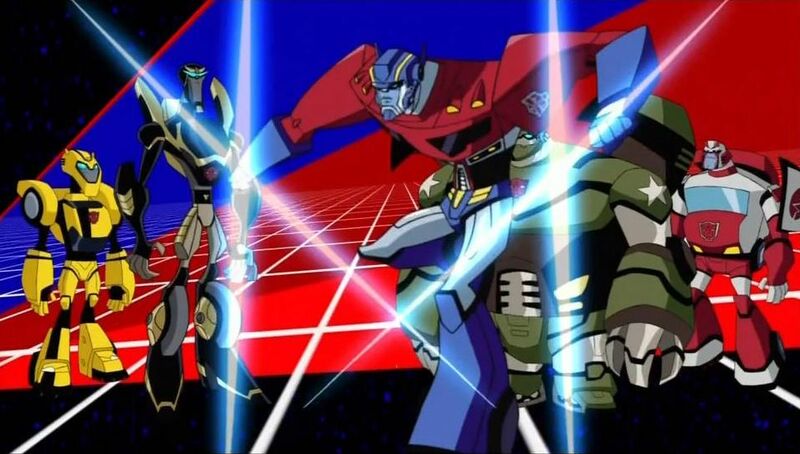 I've already done reviews of the first pilot movie, Transformers Animated: Transform and Roll Out (which was later split into three episodes), Transformers Animated: Season 1, and Transformers Animated: Season 2, so there's no real need to go over those again. I haven't said anything about season 3 yet, so I'll pick up there. Season 3 finds... wait, we learned something at the end of season 2 which picks up in season 3 but it was a pretty cool reveal and I don't want to spoil it for those that haven't watched it yet. So what can I tell you... okay, season 3 has a cool two-part Christmas episode where the Autobots wake up to find themselves in human bodies, which was cleverly done. It was really fun watching them trying to adapt to being flesh-and-blood. For Sari to help out her pals, she forms a group of substitute Autobots consisting of a Constructicon (Scrapper), a Dinobot (Snarl), and Wreck-Gar. In another episode, the human Captain Fanzone is accidentally transported to Cybertron with Ratchet, where all the Transformers start freaking out upon seeing "the organic." It's a nice mix up of having a human on Cybertron to contrast the normal Transformers on Earth. Really the only major disappointment with season three is that it ends with a cliffhanger and there is no season four! Yeah, they canceled it, which is still mind boggling. This was such a great series that it's hard to understand why. But at least we got three full seasons, and this release has all of them packed onto six discs (two disc per season). It also has audio commentaries on some of the episodes, with some of the commentators being David Kaye (voice of Optimus Prime), Susan Blu (voice of Arcee), Matt youngberg (director), Marty Isenberg (writer), and Derrick Wyatt (character designer). This is a great show and a great DVD release. I wouldn't hesitate for a second to recommend picking it up.